“The extent of the material and moral damage of this treasonous gang is huge,” Erdoğan said, speaking to a crowd in Kayseri. 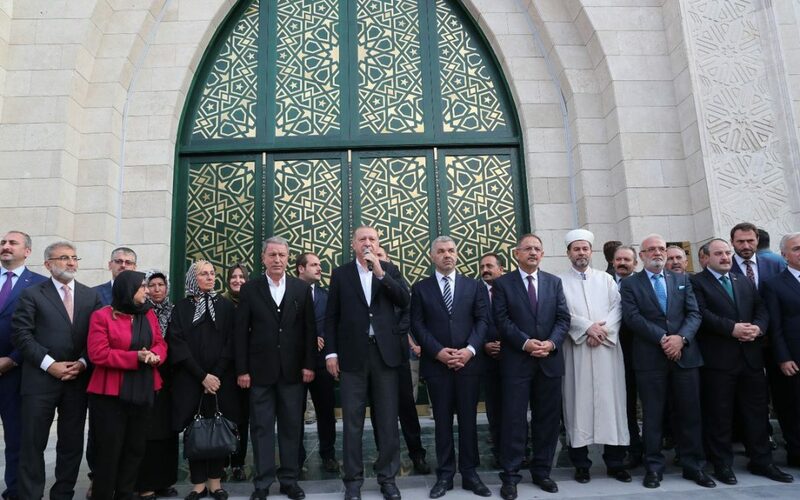 “I am saying this clearly: Those who continue to stay in the FETÖ terrorist organization, whoever they are, either our father, our child or our brother, we will cause them suffering and do what the law requires,” said Erdoğan. President Erdoğan and his ruling Justice and Development Party (AKP) government pursued a crackdown on the Gülen movement following corruption operations in December 2013 in which the inner circle of the government and then-Prime Minister Erdoğan were implicated. Erdoğan also accuses the Gülen movement of masterminding the coup attempt in July 2016. Despite the movement strongly denying any involvement in the failed coup, Erdoğan launched a witch-hunt targeting the group following the abortive putsch. According to the TurkeyPurge.com website, the total number of people dismissed after the 2016 coup attempt exceeds 170,000. Turkish Interior Minister Süleyman Soylu on Dec. 12, 2017 said 234,419 passports had been revoked as part of investigations into the Gülen movement since a failed coup. On Nov. 16, 2017 Soylu had said eight holdings and 1,020 companies were seized as part of operations against the movement.